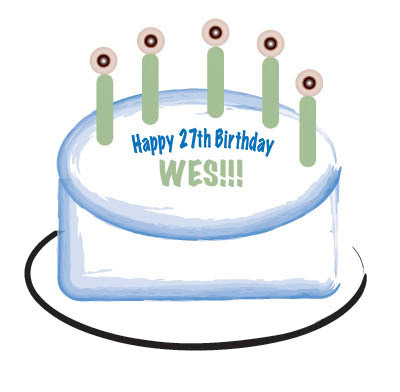 I made Wes a birthday cake (see above), but not the old fashioned way. I did it on the computer! I know that it won’t taste good, but it can last forever. Tonight we are having a grill out (or barbeque for those from California) to celebrate. It should be a blast.